OSLO, Norway — It's hard to imagine that 100 years ago, troops from now-placid Norway and Sweden were massing on the brink of war over Norwegian independence. After much saber-rattling and negotiations, the Nordic neighbors peacefully settled their dispute, with Norway gaining its first modern king along with independence from Sweden in 1905. This year, Norway — now rich on oil and known as a global peacemaker — is celebrating independence with events throughout the country. Scenery in Norway includes long fjords, mountains, glaciers, tundra, prairie and forests, often dotted with mountain goats, reindeer, musk oxen, moose, lynx and even wolves and bear. It's like traveling from one real-life picture postcard to the next. "People come for the scenery, the nature. 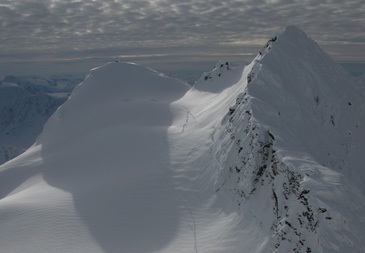 That is what is really unique about Norway," said Siri Giil Rolland of the Bergen Tourist Office. The catch is that this 'Land of the Midnight Sun', with its long summer evenings, is nearly as long as Continental Europe. That makes a complete tour time-consuming and costly, especially since prices in wealthy Norway can be just as breathtaking as its vistas. However, in a week or so, you could hit the highlights on a so-called triangle tour. Start in Oslo, the capital city of 500,000; take a stunning train ride to Bergen in fjord country, and then a high-speed ferry to the oil capital of Stavanger, before riding the southern rail link back to the capital. Given a few more days for a side trip, take the famous Coastal Express — a boat that's combination ferry, cruise ship and freight hauler — on an overnight voyage from Bergen to Trondheim. Or take the ship farther north to the Lofoten Islands, where mountains seem to burst from the ocean above the Arctic Circle. Oslo, in the southeast, is home to the Nobel Peace Prize. It is not clear why the prize's creator, Swedish industrialist Alfred Nobel, picked Norway to award the prize in his 1895 will, while the other Nobels are awarded in Stockholm. Many suspect that Nobel, who invented dynamite, hoped it would help ease growing tensions between the two countries. On June 11, a new Nobel Peace Center is scheduled to open in downtown Oslo. Nearby the 14th-century Akerhus Fortress, is the Resistance Museum, dedicated to the underground resistance against the Nazis. The German occupation of Norway began in 1940, just 35 years after independence from Sweden. Some believe those experiences made Norwegians skittish about relinquishing power, which may help explain why they twice rejected European Union membership. Art lovers will love to stop by the National Gallery to see Edvard Munch's "The Scream." Another version of the famous painting was stolen from Oslo's Munch Museum last August and has not been recovered. Other stops could include the tram up to the Holmenkollen ski jump overlooking the city and a tour of the Royal Palace. 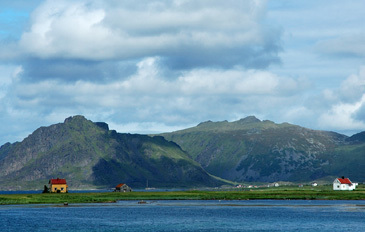 Bygdoe, reachable from downtown by bus or boat, has museums that include the Kon-Tiki Museum, devoted to the adventures of the late Thor Heyerdahl and named after the Norwegian's famous balsa log raft housed there. 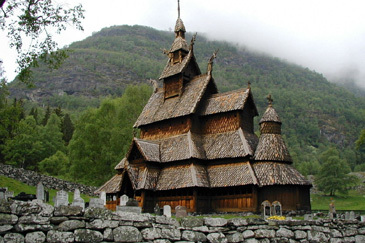 Nearby is the Viking Ship Museum, with millennium-old longboats and artifacts, as well as the Norwegian Museum of Cultural History, which includes an outdoor exhibition of 155 buildings from different regions and time periods. Centennial exhibitions at the culture museum include displays on Norway's popular union with Denmark, which lasted more than 400 years, and its unpopular one with Sweden. Denmark was on the losing side of the Napoleonic wars, and had to cede Norway to Sweden in 1814. That also brought Norway its first constitution, signed on May 17, 1814, and observed annually on May 17 with parades of flag-waving children. This year, Constitution Day may be surpassed by the independence celebrations. Norway declared independence from Sweden on June 7, 1905, and Sweden accepted on Oct. 26. Festivals are planned throughout the country, especially in early to mid-June. From the Central Station in downtown Oslo, travelers can catch the train to Bergen, a daylong trip across what promoters call "the roof of Norway." "There are very powerful landscapes, especially across the (high mountain plateau) Hardangervidda," said Wenche Berge of the state railroad NSB. Along the way, a worthwhile side trip is on the 12.5-mile-long Flam Railway, called the world's steepest railroad. It was completed through the wild mountains in 1920 with 20 tunnels and sharp switchbacks. 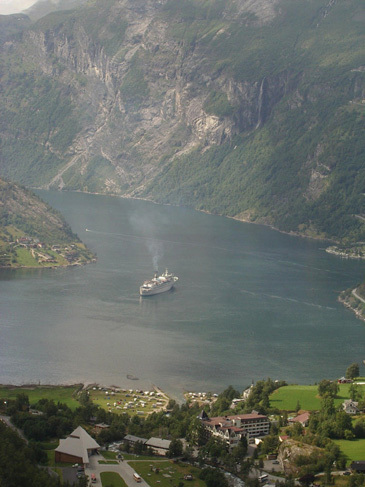 At the end of the ride, you can take a stunningly beautiful two-hour ferry ride between 5,900-foot-tall mountains, down a narrow branch of the Sognefjord, called Aurlandsfjord, to Gudvangen, and board a train for Bergen. A key attraction in Bergen, a city of about 230,000 founded in 1070, is the Hanseatic wharf, named for the German traders who brought prosperity from about 1360 to 1754. 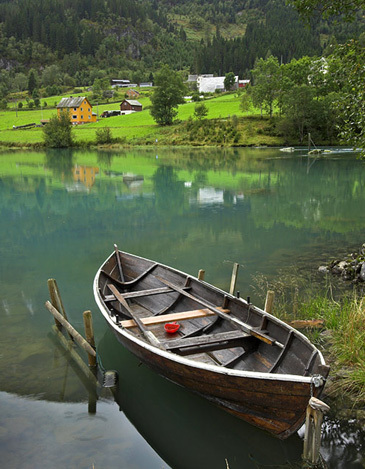 Bergen is also near some of the most spectacular fjords in Norway, reachable by tourist boats. Norwegian composer Edvard Grieg's home at Troldhaugen is now a museum, and just walking through the Old Town can be a treat. Take the funicular railway up Mount Floeyen from the wharf area for an eight-minute ride to a dazzling view. 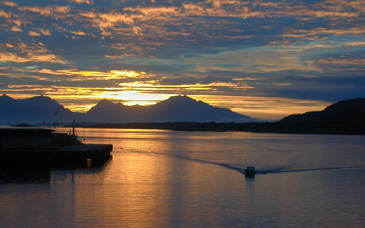 From Bergen, high-speed ferries regularly depart for southwestern Norway's Stavanger, designated as a European Capital of Culture for 2008 by the European Union. Stavanger, with about 100,000 residents, is the center of Norway's offshore oil industry. Norway is the world's third-largest oil exporter, which may make the Swedes wince at times over the vast fortune that slipped away. A museum near the downtown waterfront, lined by old wooden buildings and outdoor cafes, shows how the offshore oil industry grew over the past three decades and how it works now. A few blocks away are the quaint, white wooden homes that crowd the old town. 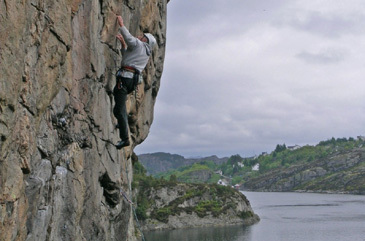 Stavanger and Rogaland country are also known for their white sand beaches and steady winds, making it a center for windsurfing, kiting and surfing. Stavanger residents often take guests to Pulpit Rock, which bursts almost 2,000 feet straight up from the Lyse Fjord with a dizzying view. It can be reached by boat in three-and-a-half hours, or by ferry, bus and hiking trails to the top. From Stavanger, take the southern Norway rail line back to Oslo, an eight-hour ride showing another side of Norway's scenery, such as the prairie leading right into the North Sea at Jaeren, in the southern part of the country. The ride also passes through the city of Kristiansand, and up the western coast of the long Oslo fjord leading into the capital. Norway is among the world's most expensive countries. A beer at that nice outdoor cafe could easily set you back more than $10. But there are moderately priced hotels, hostels, bed-and-breakfasts, camp grounds, and cabins. Many cafes have a daily meal special for less than the cost of a pizza or burger at the fast-food outlets. Tourist offices offer passes for discounts on accommodation, and free or reduced-cost transportation and tickets to attractions. Travel agencies offer full packages for the triangle tour. One hundred years after the tense break-up, Norwegians and Swedes get along, with a friendly rivalry. Now any modern invasion would be Swedes flocking to Norway to find work, and Norwegians flocking to Swedish shops to take advantage of lower prices.